I reverberate in the motions of last week’s Movement Research Spring Festival, Hand Written Note(s), curated by the ever so thoughtful Aretha Aoki, Elliott Jenetopulos, Eleanor Smith and Tara Aisha Willis. 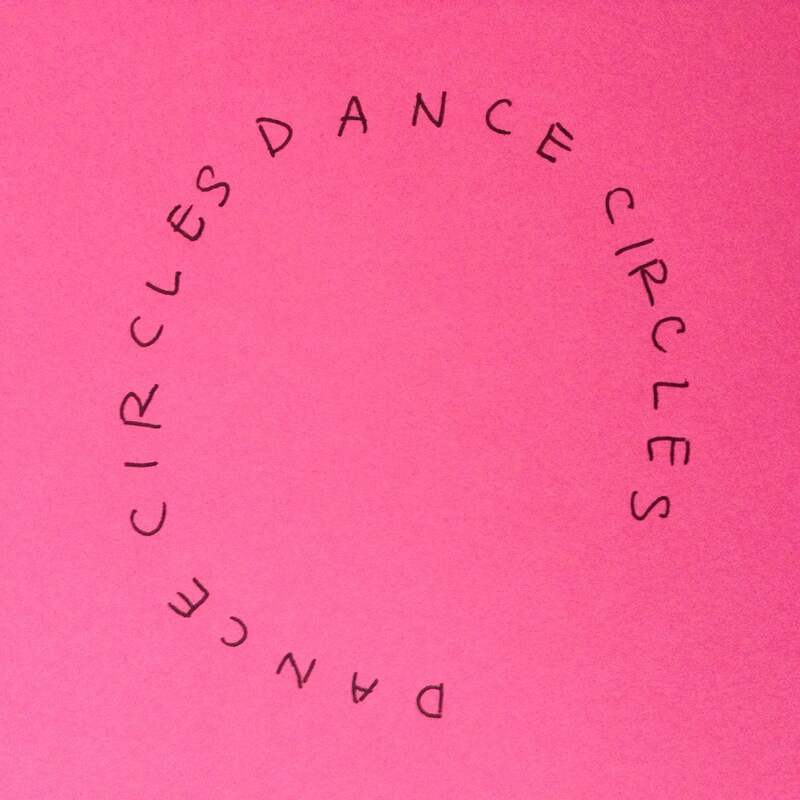 The curatorial statement began with “thoughts scribbled in the margins, notes passed on the sly, the indominant culture hidden just below the surface” and we each unfolded what these words promised to our dance circle. My writing attempts to encapsulate my participation in the festival week as I looked to dance as an undercurrent of culture, a structure that moves, a sacred circle where bodies find freedom. I was invited to show work on the third evening of the festival. The expectation to accent the program with my marginality did not present itself. I simply participated with the opportunity to gain access to studio space and be seen. I wasn’t stung with the label of other within the spaces the curators fostered and I thank them for making that space available to artists. We were with each other and not against the other at the festival events. In this nurturing each otherness, we traced lineages to our originators, finding commonality within our differences. The curators composed something that’s unique to my New York dance community experience. They curated me in a bill with the illuminating Jumatatu Poe, a person of color and I thought “Wow! I’m in a dance show with another person of color,” but without a blatant people of color agenda, without a racialized platform designed for us to be seen within. In a world where people like me typically hold indominant roles, it’s very special to be invited into a space where my body is more or less “normalized” or even seen. Where the audience is invited to see me the way I’ve always seen myself, where I’m not asked to perform my othered self; where just being who I am is enough. Jumatatu and I shared a studio retreat and residency in Northampton, MA two weeks before our show; a space and time to think and make work. Coincidentally, Northampton/the Pioneer Valley is where I formed the beginnings of my dance life as an undergraduate at Hampshire College (ten years ago). Northampton continues to be the place where I enjoy the visit but can’t linger for much longer than a short stay. I kept Juma in mind wondering what this might be like for him, as this was his first visit. I assumed his experience was similar to mine, very “city mouse” and different from urban life in Philly with a sustained dance proximity to New York. I thought about what he might have felt as a man of color in a New England town today, yes even still today, and what that meant. Perhaps it was a place where people were nice but it’s hard to know if we were actually welcome. Where everyone talks about something but they never start the conversation about you. A place where the people who look like me dominate the undercommon labor; they work from behind counters and kitchen doors and they buss the tables, mop floors, they work hard while others hardly work. These indominant individuals are the people “hidden just below the surface” too. These activities are obvious in a place like Northampton if you pay attention (I always had to) and though it’s been a place that has nourished me and has seen me grow, I know where its faults lie. Jumatatu and I stayed at Jen Polins’ beautiful house, she runs The School for Contemporary Dance and Thought (SCDT) on the main street of the town. We were each granted 14 hours of studio access and we were so hard at work that we didn’t get to hang out with each other very much. We respected each other’s space because that kind of time is rare (at least for me) to come by. We worked diligently in our spacious studio, a pillarless dance hall built by Masons and once a space for only Masons. I was reminded again that there is labor in everything; labor in our respite from our bustling hometowns. Juma treads the line of humor and tragedy as he proposes to the Movement Research dance community to think about what we are actually enacting with this experience in this evening of togethering. I zoom out and the scope is wide, the festival continues and there are events I’m unable to attend but I read about them on the Hand Written Note(s) website. Maura Donohue writes about a day she spent with Ni’Ja Whitson and mayfield brooks. The artists facilitated workshops that I’m so sorry to have missed. I’m grounded just reading Maura’s musings, simply learning that people are holding space together in this way. I should mention that I didn’t meet Ni’Ja or mayfield (who also made this) until this festival and I thank the curators for their expansive and inclusive reach that keeps the Movement Research community wide and in flux. On Thursday evening the artists were invited to a dinner at festival curator, Eleanor’s house, a delicious homemade spread of tacos and desserts. I found myself scanning the room and I was excited (and a bit embarrassed) to realize I didn’t know two thirds of the people in the room; a major first for me as a member of the Movement Research community for ten years. I’m thankful to the curators who have brought us into each other’s timeline where I can see we’re happy to meet each other. A generous space to relish inside of and pause: my family is growing, so many of these people are underlings like me, my counterparts the “indominant culture hidden just below the surface,” an awesome tender space to be revealed. I speak with mayfield at the dinner, who shares about research on Whitney Houston’s bisexual lifestyle and about how this research currently enters mayfield’s work, I’m fascinated. Some people went to the Beyonce concert that week and confessed their marvel of big concerts, another populous mode of coming together, another brown person taking up a lot of space and we giggle. I should mention that the bike ride out to Eleanor’s house made the evening extra beautiful. The sun hung low and the trees, lush with leaves, threw spears of light onto the pavement. Deep into Brooklyn, the row houses were low, exposing sky, Bachata played from bodegas and back yards, people washed their cars, families chilled on their stoop; an evening to gather. As the festival arrived to it’s beautiful ending, I looked back into the writings to see what else had happened during the week. I was taken by in the shadows of the american dream, by Jaime Shearn Coan. His is one of many voices with sentiments about what happened in Orlando and a first response on behalf of the festival. Jaime wrote about the Latinx community in Orlando, a space where people “had also gathered together to celebrate each other, to move together in a space of their making” on Saturday night. There is a common practice between humans to come together to celebrate each other and the Movement Research community took part in dancing together on that night. What a beautiful life to allow us to come together and take action in this way, what a beautiful place dance is that it brings us to each other. I zoom out and imagine all the rooms of people dancing on that night, all the rooms of bodies taking up space, carving out dance circles from within a crowd, something that I’ve always thought to be inclusive and exclusive. 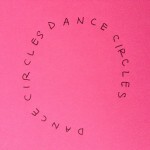 It’s something that invites the eye to locate spectacle, the dance circle is sacred. To move your body and to have a life to do so has become a privilege; I am grateful to own it. As a lesbian Latina, I’m not always accounted for but I’m always counted upon; courage is my inheritance when the lives of brown people are mourned again. I attended the vigil at Stonewall on Monday night and I was reminded of how invisible my people were. Not just my LGBTQ community but most of all, my brown skinned Latina/o and Latinx and Black community. I was raised on the dance floor, I was taught it was a good thing and believe it still. I was taught to dance for any occasion because it’s reverent to life, a space to be free when we’re not. At the vigil, I wanted music from the club to take to the streets and unite us all in dance, I wanted someone to give a speech in Spanish, not just the mayor (but good job I guess). I wanted The Battle Hymn of the Republic to stop taking up space for once because I yearned for a heart-felt Cumbia to play instead. I wished for a deep bass beat to pound inside my chest so that it could for just a moment beat louder than my tired heart. At least a Cumbia track would be something closer to home, to whom we came together for. The dance circle is sacred, keep it moving, keep it free, celebrate, come together in dance and let’s not forget the history and courage of Latinx like her each day. Les mando mi mas sentido pésame a las familias y a los sobrevivientes de la masacre. Que lastima que vidas bellas, jóvenes, llenas de amor al prójimo y a la unión sin barreras hayan perdido a la batalla contra el odio. Bailemos todos que estamos de duelo! El baile inspira amor, alegría, unión y paz. No mas. El pueblo unido jamás será vencido. Presente.